Bill Cosby Holiday message 2014 from AFN (American Forces Network) on Vimeo. 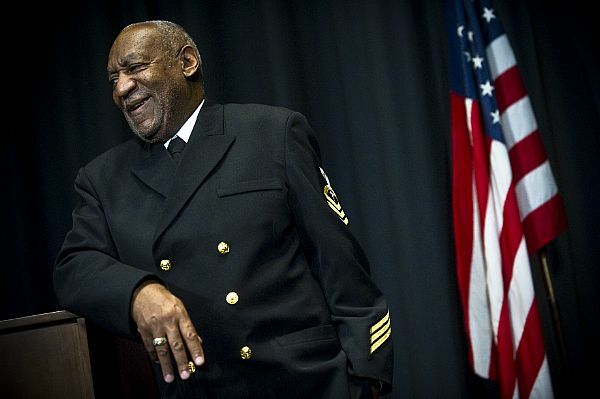 Bill Cosby’s first TV stand-up comedy special in 30 years will air on American Forces Network on Friday, and viewers will be able to chat live with the man who, nearly 60 years ago, served as a Navy corpsman. “Far From Finished” debuted on Comedy Central on Nov. 23. Reviews ranged from “predictably safe” to “comedy of the highest form”; Scoop Deck caught the show on a re-air and can say, without fear of contradiction, that it’s somewhere in the middle. Cosby served from 1956 to 1961 before heading to Temple University and then to superstardom that crosses generations and genres — everything from “The Cosby Show” to “I Spy” to “Fat Albert” to “Picture Pages,” in addition to a lifetime on the stand-up scene. The show will air at 9 p.m. Japan/Korea Time on AFN Prime Pacific and 9 p.m. Central European Time on AFN Prime Atlantic, according to a Navy news release. During either showing, viewers can send tweets to Cosby using the hashtag #AFNCosbyTroops. More about Cosby’s time in the Navy here and here. Was he an HM3 or an HMC? The uniform and the caption don’t match. He was a HM3 in the real world but I believe the Navy Memorial made him an honorary HMC at that ceremory they have every year honoring Sailors/marines and coasties who went on to great achievements after they left the service.